Branding is a big deal for your event business. It helps customers recognize your company from various marketing efforts, including from print and online, when you have a consistent brand that you are putting out there. That includes your logo, designs, and even the language that you use in your copywriting. One area that some event businesses overlook when it comes to branding–and shouldn’t–is their tickets. Our event ticketing software can help you fix that issue. It keeps your name fresh in their minds. When you have your name and logo on your tickets, it reminds those paying customers of your company every time they open their wallet. That means you are making an impression on them numerous times a day, for almost no money at all. That’s a better return on your investment than you’ll get with almost any other kind of marketing. They’ll be able to recommend your business to friends and family more easily. 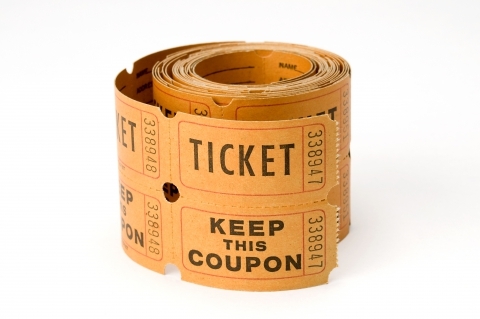 Many people keep their tickets from events as a memento. If your ticket is “memento worthy,” they are more likely to keep it. That means you’ll continue to make an impression on not only your previous customers but all of their family and friends who also see the ticket. They might ask about it, and get excited when they hear about everything you have to offer. It puts your name in front of other potential customers. Anytime someone else sees that ticket, it’s free marketing for your company. Whether it’s someone at the hotel, a cab driver who takes them to dinner, or even their other friends while they are out for an evening together, when they see your ticket they’ll be more likely to remember your name and use your company when they want to book their own event or attraction. Our event ticketing software makes it easy to customize your tickets and receipts. We allow you to format document with pictures and logo, even exporting them a PDF so they can be emailed easily. Not only can you add the branding of your company to the ticket, you can customize them with numbers, names, event names, and discount codes. You’ll love the flexibility you have when it comes to customization. You’ll love it even more when your branding pays off with more sales! Get started with our event ticketing software today.